A film project of TheGreenInterview.com, GreenRights: The Human Right to a Healthy World tells the story of the dramatic, innovative legal battles going on in nations around the world: dramas in the courts and on the land, where devoted citizens and courageous lawyers take on national governments and international corporations – and win. In Argentina, the Netherlands, Ecuador, the Philippines and elsewhere. But citizens of those countries have a legal right to a healthy environment. Canadians and Americans don't. Join us for this unique film journey that will shock you, surprise you -- and give you hope. 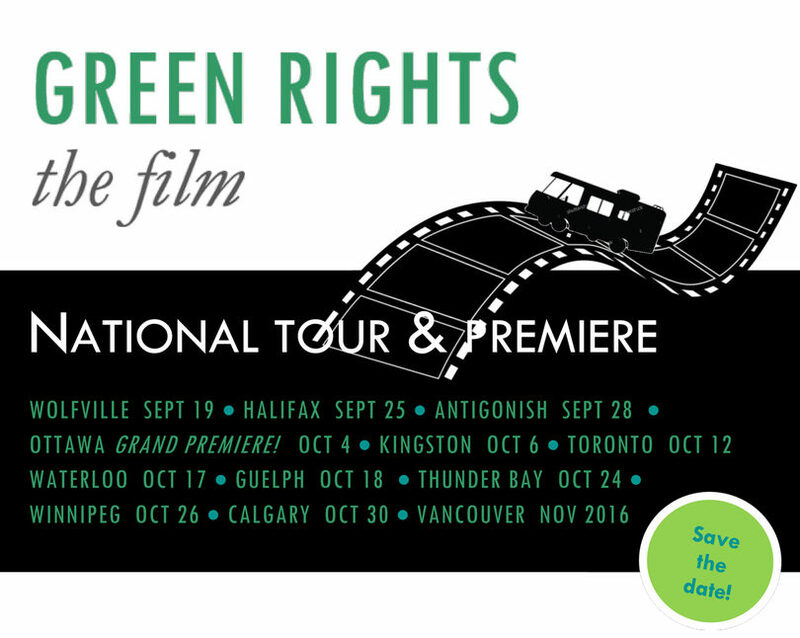 You, your business or organization can sponsor the nation-wide Green Rights film tour. Please click here for our Sponsorship Package and great sponsor benefits and to read more about this exciting film tour and book launch! For more information on sponsoring the tour, please contact Melissa Munro, Director of Developmen:mmunro [at] sierraclub.ca. Please click here for venues and times for public screenings. Feel free to share our posterswhich you can find here and here!